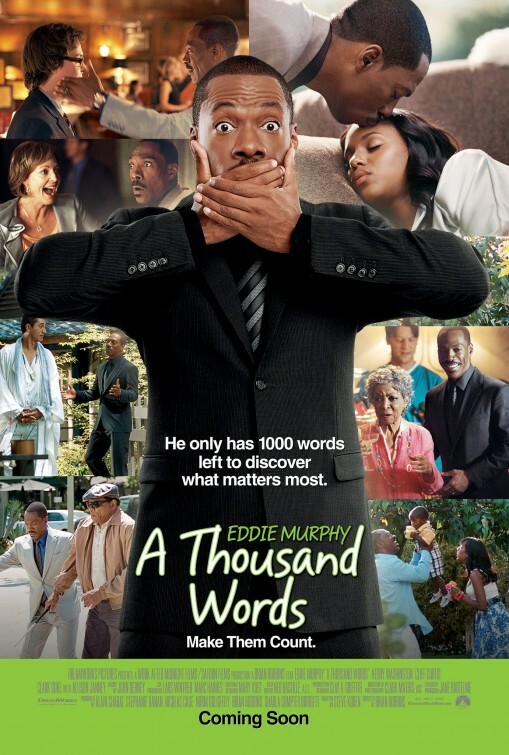 Here's the UK poster for the upcoming comedy A THOUSAND WORDS. The movie is directed by Brian Robbins and stars Eddie Murphy, Clark Duke, Kerry Washington, Justina Machado, Cliff Curtis, John Witherspoon and Jack McBrayer. Look for it in U.S. theaters on March 9th. I'm not sure about a UK release date but will find out for you.